Gokuldas with Shirdi people walks to Said and Pari hearing Sai’s bansuri and imagines Pari as devimaa. He reminisces his mother telling he should keep his eyes open and sense they and god are around him. He praises Pari that she is god like and it is understandable why Pari’s drawn pic was so divine. Pari says she has not seen god, but she has Sai with him, he recited Shiv bhagwan’s story to her and she drew picture based on his description. Gokuldas thinks why Kulkarni was wrongly alleging Sai then. Kulkarni yells at Sai why did not he return Pari home, if he kidnapped her. Sai says if he had brought Pari, people would not have got the knowledge they should and one was waiting for the sign of getting back his devotion. Gokuldas asks what he knows about devotion. Sai says his parents were biggest disciples and even he was, but one accident made him atheist, now he should explain everyone what he experienced today. Gokuldas describes that his parents had gone on holy pilgrimage and passed away in an accident, since then he became atheist, but today seeing Pari’s drawn painting he imagined meeting his parents who suggested to open his eyes and sense truth; when he saw Pari, he imagined devimaa in her. Gokuldas asks Pari to ask whatever she wants to. Pari says she does not need anything. Gokuldas praises her parents who gave her such a good upbringing and gifts 100 rs to Pari’s parents. Kulkarni gets jealous seeing that. Atma Ram thanks Gokuldas. Gokuldas asks to thank Pari’s talent and says he will fund Pari’s studies. Pari says school is closed since long ago, how will she study. Gokuldas scolds Kulkarni for not informing about closure of school and showing his achievements since 2 hours. He tongue lashes that a chief without vision is a disaster to the village and asks to give remaining report at his residence. Kulkarni takes him along tensed. Neighbor ladies praise Pari that she is very talented and earned 100 rs in 1 go while it takes more than a year for them to earn 100 rs. Sai says they are the same ladies who found fault in Pari always, they are bound to the old thinking that girl should be fair to get a good fate, else she has to bear all the troubles in life. He describes how Shubhangi punished Pari with household chores, forcefully applying herbal paste on her, planning to send Pari with Vishwas Rao, Pari consuming excessive turmeric and saffron milk, etc.. Atma Ram scolds Shubhangi. Vishwas Rao reverts that Shubhangi is worried for Pari as a mother and it is Sai’s mistake that he did not bring Pari back home and kept her with him. Sai says he wanted Pari to rest and says Vishwas Rao wanted to take Pari to his house, but house means where one can feel safe, but Pari did not and ran away hearing his plan, she had consumed turmeric and saffron milk to get fair when she is lactose intolerant and she did all that so that her mother can love her back life before. He continues describing that even Kalimaa is black and she took black color to end evil, don’t they pray Kalimaa; Shubhangi remembered her her parents and brother had hard time finding a groom for her due to her dark color, did not she realize that she got a best groom as Atma Ram who is 100 times better than others and who is the best father, she is blessed by her dark color instead. He continues making Shubhangi realize her mistake. Precap: Honeybees bite Tara. Pari pleads Sai for help. Sai hears her plea. 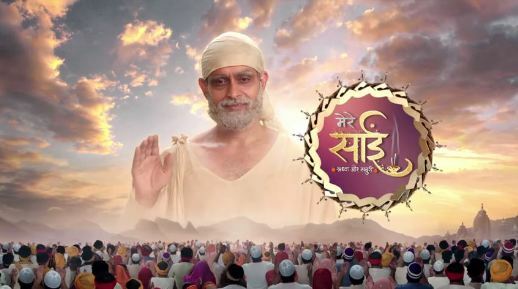 The post Mere Sai 5th March 2019 Written Episode Update: Gokuldas Images Devimaa In Pari appeared first on Telly Updates.